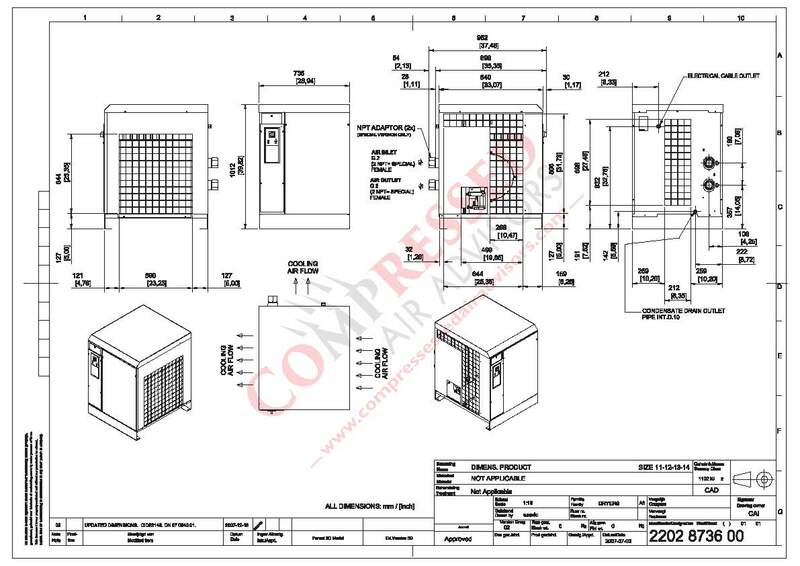 Pneumatech’s reliable and innovative non-cycling refrigerated air dryers are a cost-effective solution to remove all traces of condensation and the resultant corrosion from your compressed air system. These well tested and market-accepted dryers will give you years and years of reliable service. Minimize the pressure drop – with high-quality components. Limited energy consumption – by zero loss drain. 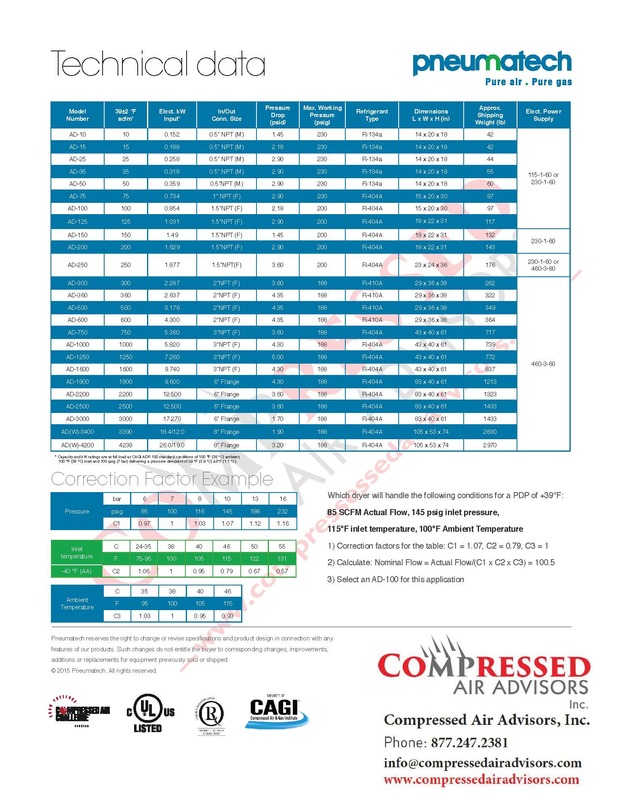 Highly efficient – low refrigeration kW at full load. What makes the AD range unique? 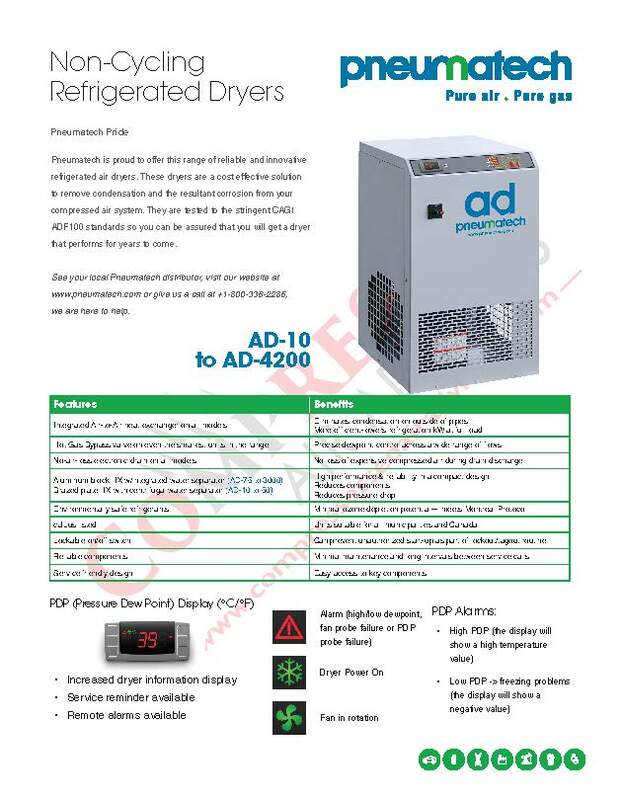 Integrated air-to-air heat exchanger on all models. Hot gas bypass valve on even the smallest units in the range. No-air-loss electronic drain on all models. Remote start stop & general alarm system.